So if you’re like me, you like to smell good! I have a thing about smells... food smells, smells of places, perfume smells... I know you’re probably thinking “weirdo!” haha, but I think my memory uses smells to remember moments and people. I also think it has a lot to do with my childhood, because my mum used to smoke in the house, everything I had smelt like cigarette smoke L. So I like to know that I smell good... because, well, who wants to smell bad?! My latest scent is another one of my BARGAIN FINDS! 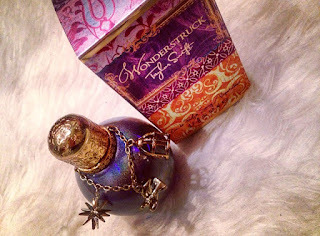 It is Taylor Swift “Wonderstruck”. I first bought this one because a friend was wearing it and it smelt really similar to "Ari" by Ariana Grande (which I couldn’t afford to buy at the time). So I went for a little look and found it in Savers. It was £10, which I thought was really good for a 50ml eau de parfum. Both “Ari” and “Wonderstruck” are very sweet, girly, daytime scents. As it is an eau de parfum, it lasts for ages and really lingers on clothing. The bottle is really nice too with a charm bracelet feel on a purple, glittery bottle. Here’s the best bit; I went back about a month later and found it had been reduced to £4.99! So I bought another one! So I’m all stocked up for 2016! Plus, with Valentine’s day coming up, you could treat yourself or a loved one to a whiff of Taylor Swift! Savers is a great store in general for big brand toiletries at lower prices. I head to savers for stuff like Treseme products, deodorant, facial products and tampons. Disclaimer: No, “Loft” isn’t a hip, new, trendy clothes store or beauty brand! I’m literally talking about my loft! So, last weekend I helped my mum go through old boxes of my childhood belongings, so she could throw away stuff we don’t want and put the rest into storage. 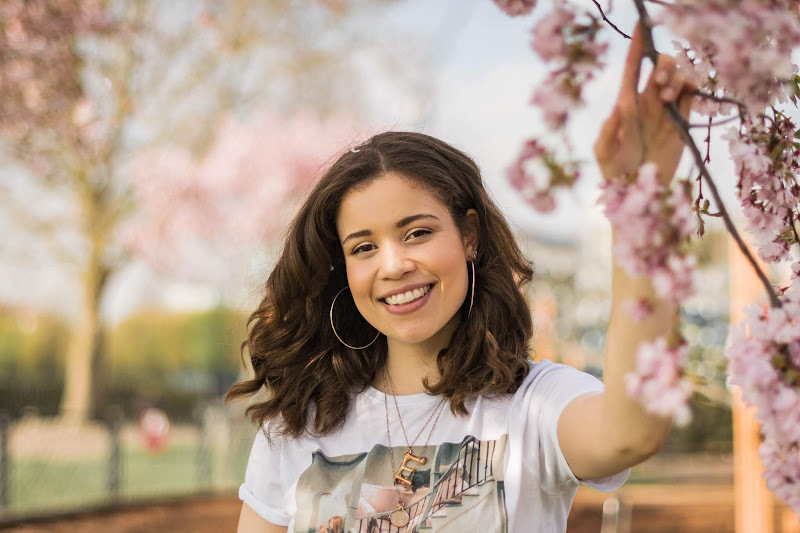 Although I didn’t manage to find secret treasure map or have a ‘Goonies’- style adventure, this turned out to be the best vintage shopping trip EVER! I found some amazing things that I, or my mum, used to own. And the best part; it was all freeeee!! 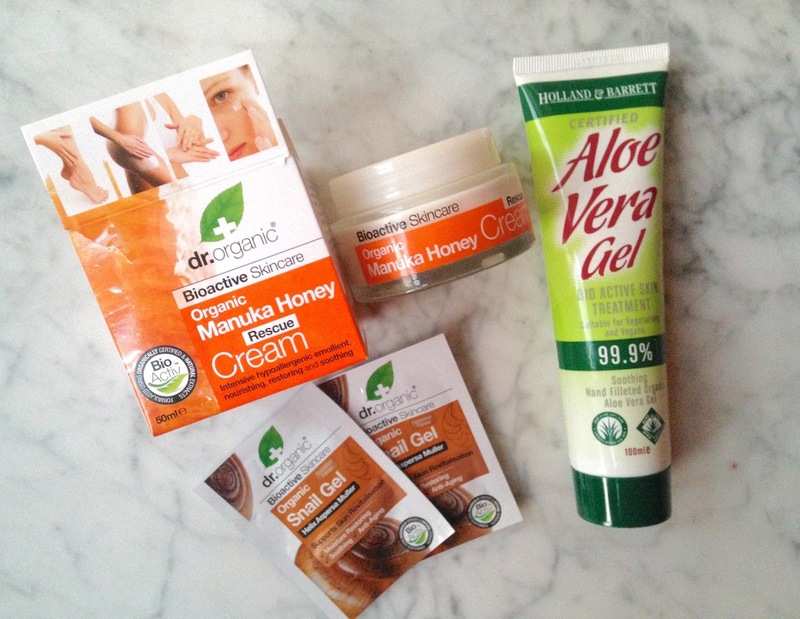 From Spice Girls to scents, this post covers my top 5 finds. This was one of my most exciting finds! 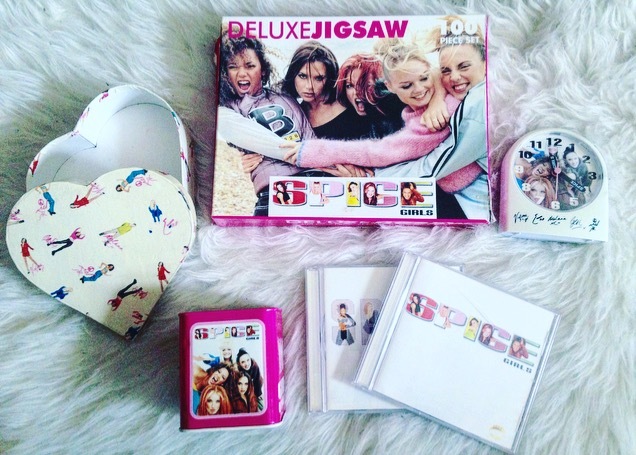 I was a HUGE Spice Girls fan throughout my childhood. And my mum clearly had no problem feeding my obsession! This is probably 10% of all the Spice-things I owned. From bed sheets and wallpaper, to make up kits and t shirts; I had it all! I even found a load of unused party things like paper plates and bunting (that’s my 25th birthday sorted!) These little bits are so cute and I feel like I can use them even now. This viewer works by inserting a piece of card that has some film negatives on the ends. You hold it up to a light source like binoculars and each photo becomes really clear, with a 3D-type feel. The two bits of card I have show aspects of the Disney Parade from the 90s, and some images of the Disney Land ground, Small world ride and Alice’s Labyrinth. I would love to get my hands on some more of the cards! 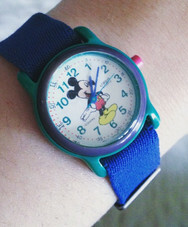 Keeping with the Disney theme, I found this cute little Mickey Mouse watch! The funny thing is, I was recently searching the realms of Ebay for one of these! My mum replaced the battery, I replaced the strap and it is good to go! I think this vintage piece would be worth a lot today and I’m sure I am the envy of all the Brick Lane vintage trawlers! 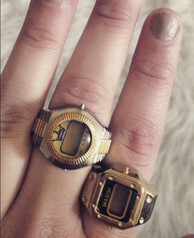 These 80s style rings once belonged to my mum, but as a kid I remember playing with these like costume jewellery. They remind me of The Fresh Prince of Bel Air-style era, and I can see myself rocking them with my vintage acid wash denim jacket. 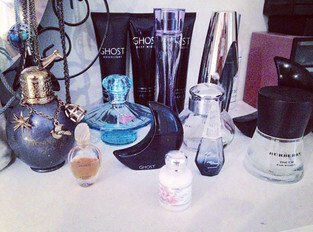 Ex boyfriend presents, gap year smells, these perfumes date back to circa 2011. I found a nearly full bottle of Beyonce’s “Rise” from my first boyfriend for my 2012 birthday, a nearly empty bottle of Britney Spears “Curious” (we all had that phase right girls?) and my first ever perfume; Burberry Touch, a birthday present from my friend Jasmine from 2007/8!! Anyway, they have all been added to the collection and shall no doubt reprise their roles and bring up some sweet (and sour) memories of my adolescence. I hope you enjoyed rummaging around my loft with me! I would say, before you head down to your local vintage/thrift/charity shop, do a little digging under your own (or your parents) roof! You never know what treasure you could uncover! 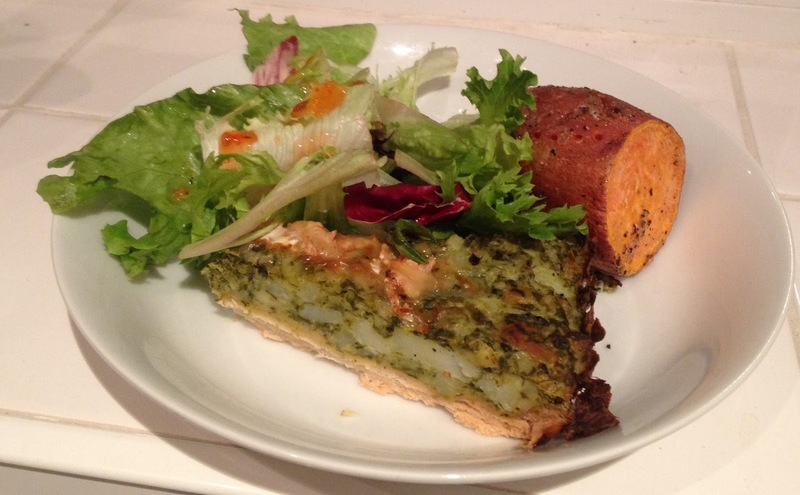 Eboni's Goat's Cheese, Pesto and Spinach Tart! This weekend, I decided to use some of the hoards of pre-made pastry I have sat in my freezer, and made a TART! I got some inspiration for the filling online, but didn’t actually follow a recipe! Surprisingly, it tasted really great! I made a Snapchat Story following the events! However hilarious the video was to make, it’s not exactly easy to follow haha, so here is my recipe and some pictures of the final result! (Remember, there are loads of ways you can adapt this recipe and make it your own. The one I made is vegetarian, but you could add some chicken or sausage etc. Also try using different types of cheese to get a stronger flavour! This took me about an hour and half, but I was messing around and probably could have done it quicker! 1. Pre Heat the oven to 180º (fan oven). 2. Line the tart tin with the pastry and push it down into the edges. Take away the excess edges. Cut a tart tin–sized circle from your greaseproof paper and lay that on the pastry. Top with the dry rice (but make sure the rice doesn’t get into the pastry!). This will keep the pastry from rising while you blind bake it. You can also poke it a bit with a fork to get the air out which will help with the rising issue too. 3. Blind bake the pastry in the oven for 20-30 minutes. It should be golden brown and have no undercooked, gooey bits! 4. While the pastry is blind baking, you can start to prepare the filling. I set a pan of water to simmer and added the spinach and peeled, chopped potato. The potato should be cut fairly small. It will cook quicker and be easier to mash. You can also use this time to grate the cheddar cheese. 5. Once cooked, drain the spinach and potato and pop back into the saucepan. Add about half a tub of soft cheese (I used Philadelphia Light- £1 in Co-op) plus the grated cheddar and a nice spoonful of Pesto. Give it all a stir and if you’re feeling crazy, a little mash for good measure. Add the egg now. Egg is the glue of baking and will hold all the filling together. Now, the kitchen will smell amazing by this point. 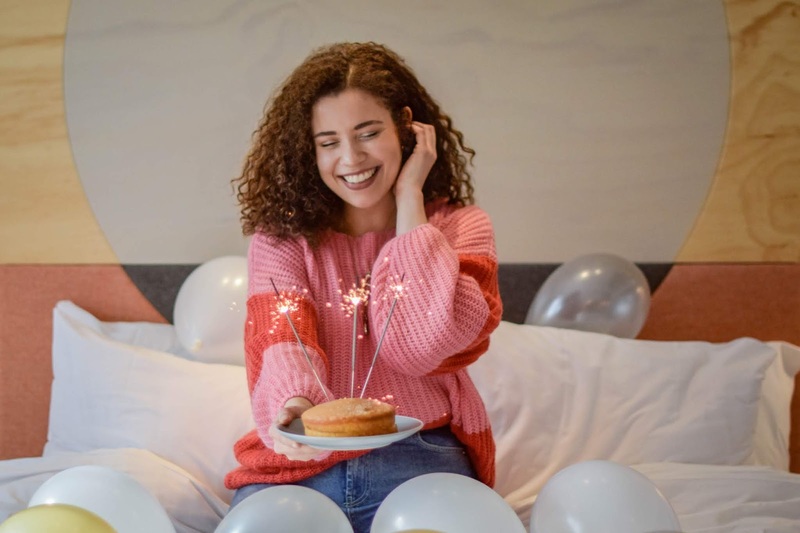 Do not give into temptation and tuck in early! I promise, it will taste even better with the filling! 6. Take your tart out of the oven and fill with the filling... obvs :p Make sure it’s all level and top with pieces of goats cheese. 7. Right, now back in the oven for about 30-35 more minutes. Disclosure: I know it smells amazing and you’re hungry, but try not to eat anything else so that you will actually be able to eat it when it’s ready... unlike me who wasn’t hungry at all by the time it was ready, so watched my mum eat it instead! 8. So all that’s left is to take your tart out of the oven and enjoy! Make sure, before you tuck in, that the pastry is cooked right the way through! I made the mistake of making the crust too thick so it took longer to cook through. Lesson learnt for all of us! The end! Hope you guys enjoyed and are having a go at making your own! If you do try this out, Tweet me pictures of your tarts! So until recently, I was fairly un-experimental when it came to clothing colours. I had my palette (black, burgundy, brown and deep shades) which I tended to stick to. But lately, I was inspired by a fellow blogger and decided to venture into the world of PINK! This, for me, was pretty ambitious. 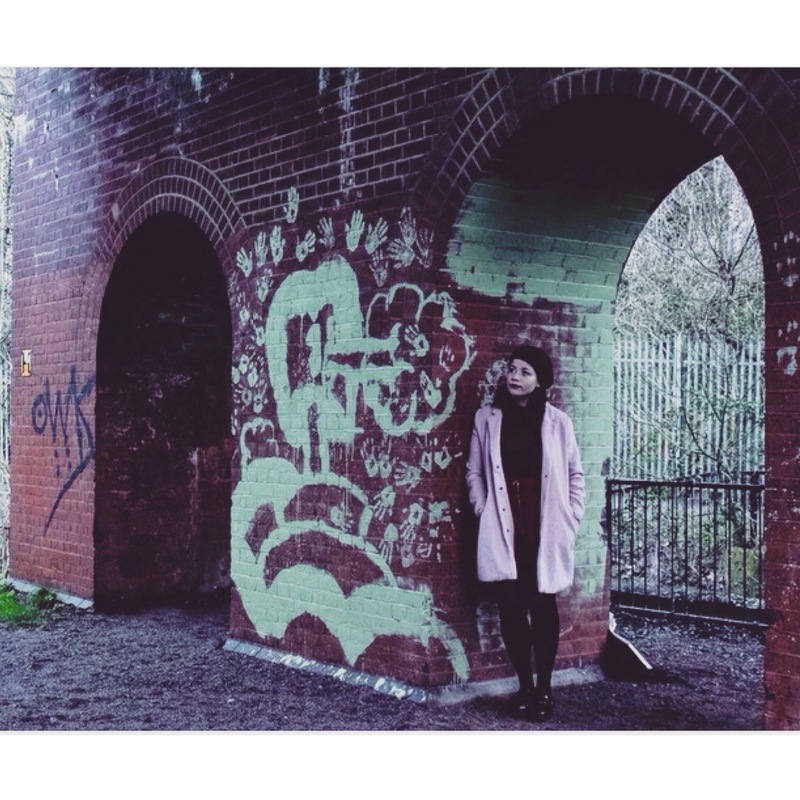 I spotted this wool coat in Primark Hammersmith on sale at £10 (BARGAIN FIND!) so I picked it up along with a white high- neck jumper that I thought might look good underneath. Since purchasing, I have worn this coat 90% of the time! It’s great for this London weather at the mo as it is woolly and warm and the colour stands out in crowds against the grey landscape! I feel super girly, confident and feel that it brightens my day a little. What an amazing thing a simple new coat can do! I would definitely say that if there’s any colour you usually avoid or aren’t sure about wearing, just go for it! Don’t spend too much, but get a little experimental. And who knows, you may find your 2016 shade!